What makes Dolce different from other Calgary hair salons? In addition to our unwavering commitment to providing haircuts that suit your personal style, features, and lifestyle, we aim for you to arrive as a guest and leave as a friend. We believe you always deserve to leave the salon looking amazing and feel confident. Additionally, we think that while getting that haircut, our Calgary guests should be able to relax and de-stress. We know it’s tiresome having to explain your aesthetic goals, lifestyle needs, and the cut you want to a new hairstylist each time you try out out a new salon. Our goal is to build trust and long-lasting relationships with our clients. Certain high-end salons have developed a reputation for having an atmosphere of elitism or condescension, and we aim to break that stereotype. We strive to deliver a first-class experience while providing a friendly and welcoming atmosphere. Our clients never feel intimidated asking stylists questions about the best products for their hair, stating they’re not quite into a suggested style, or raising hair care concerns. Even worse than having to constantly explain yourself is leaving a different salon with a different style every time, and none of them the style you wanted. We know how stressful it is to hold your breath during your cut in anticipation only to have your hopes dashed, again. Why does this keep happening? The right stylist needs the communication skills to understand what look you’re going for, the eye to adapt it to your unique features and lifestyle, and the technical skill to execute the cut and styling. Simply put, not all stylists have these skills, but at Dolce we make sure of it. We place a strong emphasis on communication: we want to understand exactly what sort of change you’d like to make before beginning your appointment. Even if you bring photographs, miscommunications happen. Having a stylist who can explain how your hair will take to a certain style, what you need to do to make it look exactly how you want it to, and to advise the best way to get what you want with the hair you have is priceless. 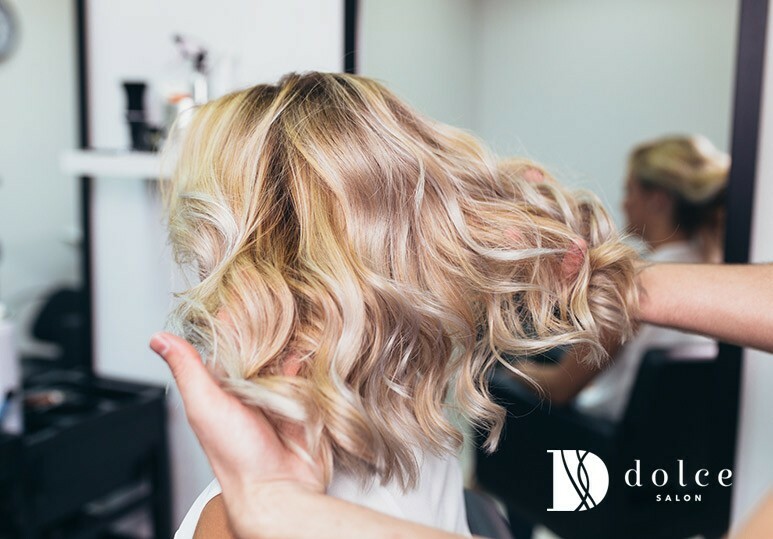 At Dolce, we are a team committed to the craft of hairdressing, and are equipped with a broad array of colour, cutting and styling techniques. Our team’s wide variety of specialties ensures that your cut will be carried out by an expert in that technique, no matter what your aesthetic goals may be. Several of our stylists have worked in major cities in Canada and globally. Additionally, our team continues to attend training around the world in order to provide the best and most current styles for our clients. Continuing education is vital to providing inspired styles that range from classic to contemporary. We take pride in being experts at what we do. This is what will keep you coming back to Dolce: the hair you want from a place that makes you feel welcome. In addition to cut and colour services for men, women and children, we also offer a variety of esthetic services. You’re busy, so why stop at three separate places when you could go to one? 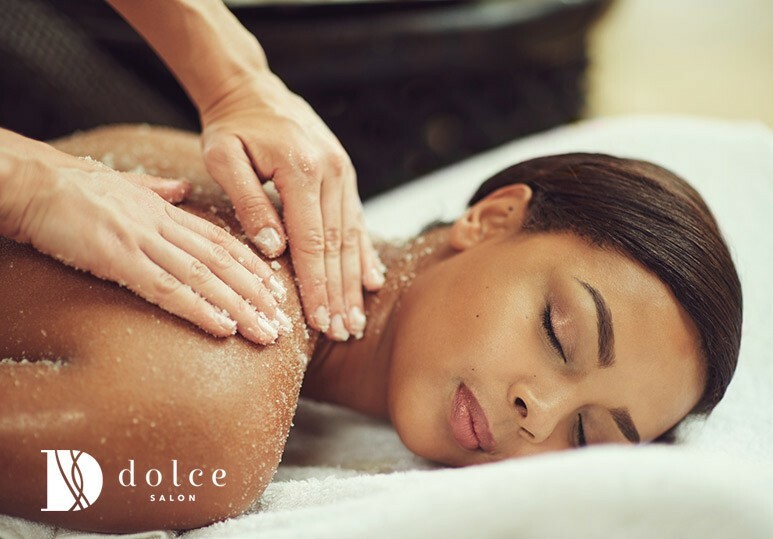 Instead of a hectic Saturday filled with multiple appointments, imagine a relaxing, spa-like experience. We love getting a sense of our regulars’ personal style and routines, because when they request esthetic or nail services, we already have a strong idea of their likes and dislikes. Customized services and less travel time, what’s not to love? If you’re ready for a fresh cut, a bold new colour, or simply to de-stress with a mani-pedi combo, give our team a call. If you’re not sure about taking the plunge and finally going for the dramatic change you’ve been seeking, let us know and we’ll schedule a consultation so that you can meet our stylists and discuss your options in more detail. We’re located in Market Mall in NW Calgary, and you can reach us by phone at 403-247-2500, or you can shoot us a message through our online contact form.